Though the 90's obviously did not provide with a wealth of thrash that was half as prolific or good as the 80's, emergent acts that culminated during 1990-1993 no doubt have a colorful, even mercurial appeal that I sometimes find to be superior to those of their more olden counterparts. 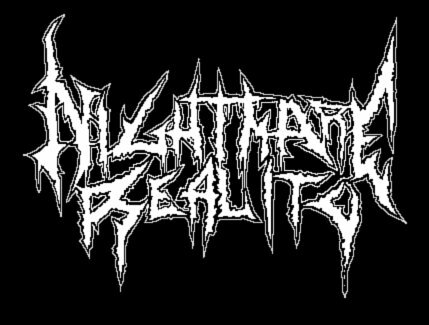 I'm not claiming that New Hampshire thrashers Terrahsphere were bringing a slab of utmost distinction to the table, but they were certainly an enlightening band to come across during the years which thrash was slowly being torn asunder. 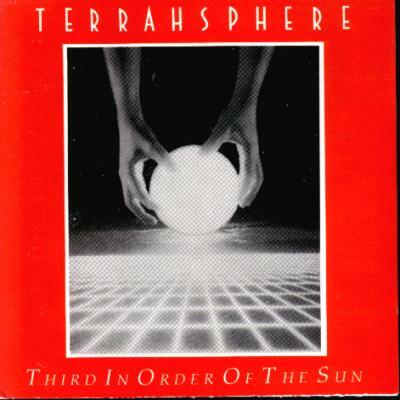 Terrahsphere's sole album ''Third In Order Of The Sun'' was conducted by the underground entrepreneurs New Renaissance Records, which previously released an abundance of excellent underground obscurities from Soothsayer, Amulance, At War, Blood Feast and Dream Death to name a few; and I believe they found their perfect fit with Terrahsphere, a bristling, busy quartet of madhouse fugitives who don't shy from exposing their sympathy for science-fiction. Well, almost perfect. You could really assert that the group is drawing influences from a number of suspects: early Toxik, Realm, Megadeth, Norwegian obscures Equinox, Sacrifice, and so forth, but to me they seem like an almost direct translation of Invocator's clinical, surging debut, only stripped up of some of the punch that really rendered the debut so hostile and raucous. Ah yes, the punch. Probably the sole thing that made me malcontent, but thankfully, the band deploys such a myriad of carnal, technical speed/thrash interpretations that it becomes nearly impossible not to succumb to the brisk, curving bevy of sci-fi induced grapple hooks, which take numerous forms of hostility over the coarse of the record, and what's more is that Terrahsphere have a manic vocalist behind all the superfluous machine-gun fire of acute tech-thrash spurts, a frenzied madman whose rupturing vocal cords gyrate between Flemming Ronsdorf of Artillery in his more rowdy days, Jacob Hansen of Invocator and Voivod's Snake. So whether it be the robotic tapping riffs of the opener, the Voivod-like chord progressions of ''Scioreality'' or the finalizing, frivolous leads of ''What Was And Will Be Again'', you've got yourself a genuine futuristic minefield, and every moment is explosive. The single flare of the opener, ''Re-Emergence Of Atlantis'' is enough to inform the the listener that he/she has just stepped into the chamber of the sovereign of demented pandemonium, but bear in mind that Terrahsphere is not completely about razing, guitars and frenetic vocal output. Terrahsphere set the incomplete fundamentals of a sub-genre that could not reach large heights and would have otherwise boomed into something even more exciting. Sure, technical thrash metal with just faster tendencies is hardly a novel, even for the people of 1991, since Watchtower, Toxik, Deathrow, Hexenhaus and Mekong Delta dropped their pioneering works in previous years, but with the extra aid of fluttering craze behind technically adept guitars something truly attractive could have been born, but the number of bands worshiping the aforementioned acts are low today, so a tiny kindle in the lesser parts of the underground seems to have almost no impact at all. And perhaps the blossom of such a sound would have occurred in future years by its creators, but unfortunately, Terrahsphere did not live long enough to shed more light on their aesthetics. ''Third In Order Of The Sun'' has its flaws, no doubt, mostly that it lacked the meat it needed to pack a proper punch and because, despite the proficiency of the guitar work, it's still somewhat held aback, a merely combustive fragment of the albums it vaguely tries to exemplify, but through a voluptuous, though not brutal vortex of cavorting intricacies, bound to each other by cajoling elements extracted from outer space, it makes for a highly vibrant and enjoyable listen, and a reasonably good achievement considering the year it was released. Fluent debut which is second in order of the tech-thrash constraint, bested only by the initiating masters of the sub-genre.